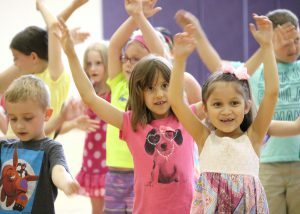 Fairley Elementary School first graders recently used music and art to help showcase what they have learned throughout the 2015-2016 school year. 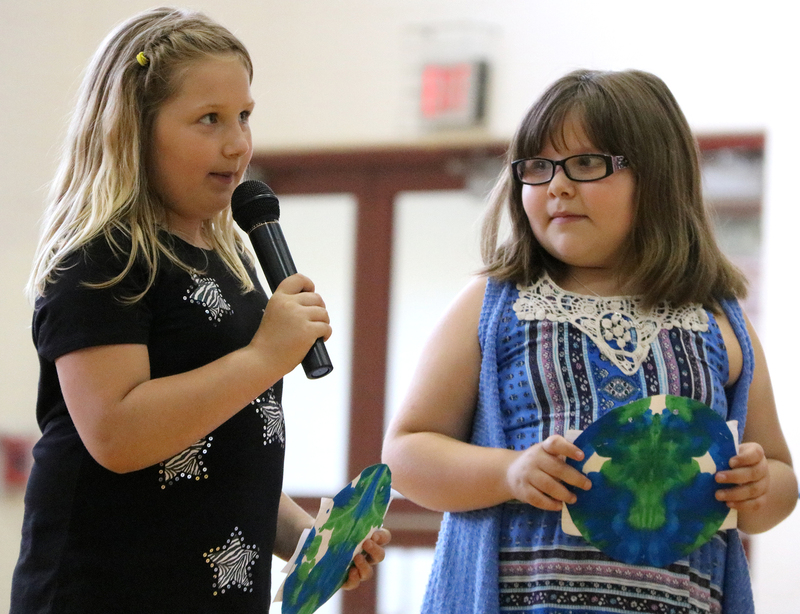 Cecelia Stone, center, and Alexa Lamb, right, perform during the recent first grade family night. Students then sang a song about planets, which coincided with their science unit on astronomy. A Listening and Learning unit on the history of the Earth inspired students to share 10 of their favorite facts about the planet. A field trip to a zoo accompanied another Listening and Learning unit about habitats. Students Leila Stock, left, and Tehya Madison recite Earth facts during the annual first grade family night. First graders wrote habitat riddles and audience members guessed the answers of ocean, desert, pond, Arctic and savanna. All first graders sang “Rules for Living,” a song about the importance of keeping their bodies healthy and strong. Teachers thanked parents and guests for their support in helping students succeed throughout the year. At the end of the program, students and their relatives were treated to cookies.